How to Delete Camera Roll on iPad with Ease – iMobie Inc.
Don’t know how to delete camera roll on iPad? Read this tutorial to find the solution about how to delete photos from camera roll on iPad easily. 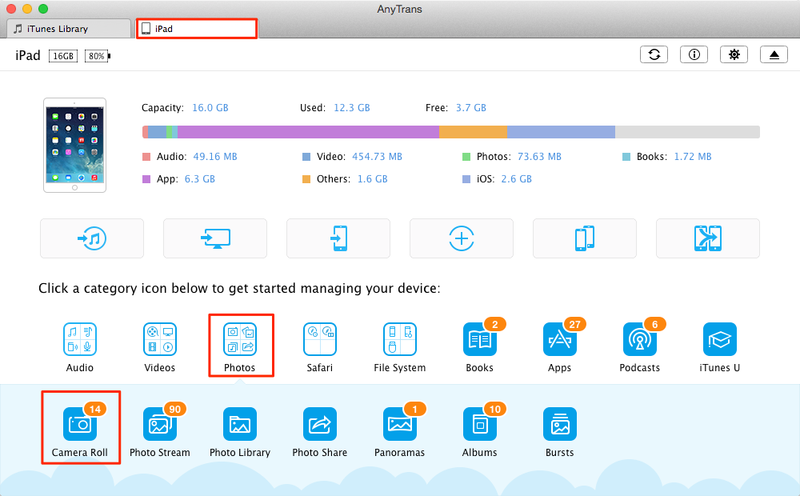 Go to download and install AnyTrans on computer for easily deleting camera roll after reading the guide on how to delete camera roll on iPad. If you want to delete all photos from camera roll on your iPad, you will find it’s a definitely tough & troublesome thing when tapping them one by one. How about deleting a great number of photos on iPad with just one click? Here we will introduce a wonderful iOS content manager named AnyTrans, which can help you make it quickly. AnyTrans allows you to delete camera roll in the blink of an eye. Not only camera roll can be deleted at once, but also Photo Library could be selected for deleting as your wish. 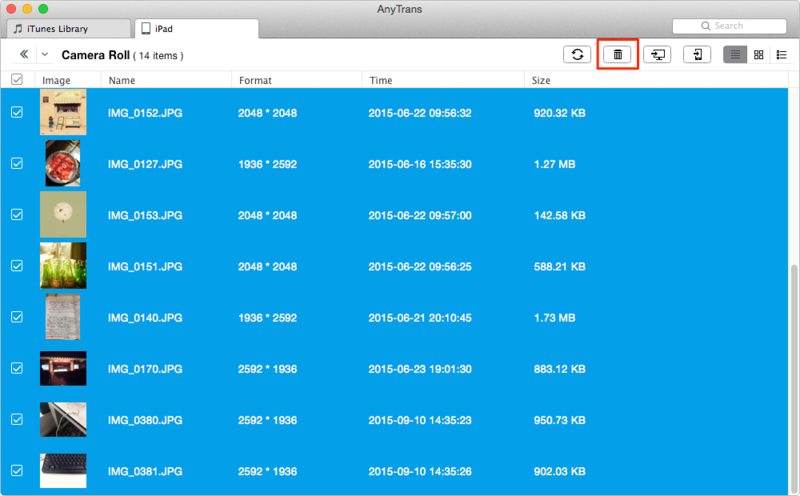 Besides, AnyTrans also allows you to manage your data on iPhone or iPod not just on iPad. Furthermore, AnyTrans is also good at transferring data such as photos, music, apps, movies, books, podcast and more. Now download AnyTrans to have a free try, and follow the steps below to help you delete camera roll with ease. Step 1: Launch AnyTrans > Connect iPad to your computer via a USB cable > Click on your iPad name > Photos > Camera Roll. Step 2: Choose photos you want to delete > Tap on the Delete button. You will find your issue will perfectly be solved with AnyTrans. Besides, as an all-in-one iOS content transfer, AnyTrans supports multiple transferring directions like iPad to iPhone, iPad to computer and vice versa. So Why Not Have a Free Try on AnyTrans? If you have any other questions on this guide or AnyTrans, please feel free to leave a comment in the comment section or come back to contact us via email.